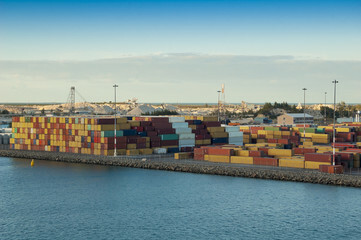 Shipping a boat overseas can be a big decision. Whenever you ship a boat or yacht overseas, there are numerous factors and variables that go into the equation, such as the weight of the boat, type of carrier, and transfer-type. All of these factors affect the boats shipping quote. If you need to ship a boat, EasyHaul provides comprehensive boat transport services and makes sure your boat arrives safely. To get you started, here is a comprehensive guide to boat-shipping that you can follow. Do your research on the best boat transport services providers first. It is important to check their certifications to make sure that they hold valid licenses and carrier permits to ship vehicles, including boats. EasyHaul is a licensed boat shipping company, and partners with reliable carriers to safely transport your boat. The overall boat-shipping cost depends on many factors, including its dimensions, weight, and type of boat. Smaller boats may cost less to ship, whereas larger ones may need a specific kind of carrier which may cost you more. To keep the cost of shipping down, make sure to buy a boat with a trailer. If a boat does not have a trailer the shipper will need to make other accommodations, which will result in a higher shipping quote for you. One way to speed up the shipping process is to gather all the necessary documents that you need to ship your boat. Standard documents include a bill of lading, shipping documents, a copy of the boat title, and a bill of sale. Some countries may require import permits for the boat or trailer. Know all applicable customs regulations to avoid any delay in the shipping process. You need to prepare your boat in time for loading day. Remove all propellers, antennas, electronics, anchor, and valuable items and store them below. You also need to empty the fuel tank, disconnect the batteries, and remove any cargo. Lastly, empty all the water in the boat, including drain plugs. This comprehensive guide will help make the shipping of your boat a breeze. A boat is a high-value investment, and when shipping it overseas, you need to ensure that it is transported safely. The best way to do just that is choosing reputable services, such as from EasyHaul. We provide a full range of boat shipping services, whether domestic or international. If you are planning to ship a boat or any other vehicle, register to enjoy superior boat shipping services. To learn more, call us at 3605979320.